The European Commission has set up a science advisory body that will report directly to its president, José Manuel Barroso, according to an article in the Science Insider. The Science and Technology Advisory Council will identify areas where research and innovation can contribute to Europe’s growth—with a particular focus on benefits and risks of science and technology advances and how to communicate these. The group, similar to one advising President Barack Obama in the United States, held its first meeting in Brussels on 27th February. It is made up of 15 members drawn mostly from academia, including Hans-Joachim Schellnhuber, an influential climate scientist from Germany; French mathematician Cédric Villani, who was a Fields medalist in 2010; and Israeli crystallographer Ada Yonath, who received the Nobel Prize in chemistry in 2009. Peter Tindemans, secretary general of the researchers’ organisation EuroScience, agrees that it is useful for Glover and Barroso to surround themselves with scientific experts. However, he adds that another priority is for Glover to build up a network of national chief science advisers. “The convincing needs to be done at the national level,” Tindemans says, alluding to the example of developing genetically modified crops, which Glover explicitly supports, despite opposition from several European governments. 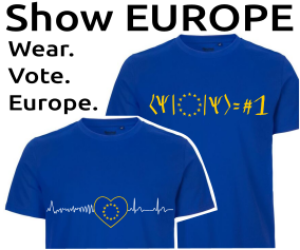 Only three E.U. countries (the Czech Republic, the United Kingdom and arguably Ireland) have chief science advisers, but Glover is pushing other governments to create similar posts and says a network could be in place by the end of the year. According to Euractiv.com, The 15-member panel includes experts from EU countries as well as Switzerland and Israel. The advisory council members are: Alan Atkisson (Sweden), Ferdinando Beccalli-Falco (Italy), Victor de Lorenzo (Spain), Tamás F. Freund (Hungary), Susan M. Gasser (Switzerland), Søren Molin (Denmark), Joanna Pininska (Poland), Alexandre Tiedtke Quintanilha (Portugal), Ortwin Renn (Germany), Riitta Salmelin (Finland), Pat Sandra (Belgium), Hans-Joachim Schellnhuber (Germany), Roberta Sessoli (Italy), Cedric Villani (France) and Ada E. Yonath (Israel). Adapted from an original post reproduced courtesy of the Science Insider.